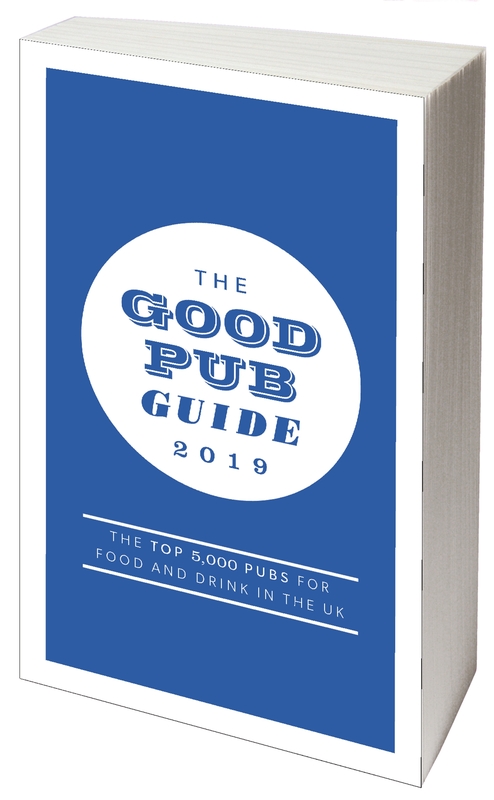 Every year The Good Pub Guide editors select the very best pubs from across the country to be awarded a collection of National Awards. In 2005, Paul Halsey and James Minkin established the Purity Brewing Company on a working farm in lovely Warwickshire countryside. As the name suggests, it was important to them that the brewing process was eco-friendly and energy-efficient. The spent grain goes to the farm cattle, yeast to the pigs, and their hops become fertiliser. The latest heat and steam exchange technology reduces energy consumption and, every day, thousands of gallons of water run through a series of reed beds behind the farm to purify the brewing waste before it flows back into the River Avon. As well as Purity Pure UBU (named after their old farm dog who was fondly known as Useless Bloody Urchin), their beers include Bunny Hop, Lawless Lager, Longhorn IPA, Mad Goose, Pure Gold and Saddle Black. Their ales can be found within a 120-mile radius of the brewery and are delivered to more than 500 outlets. Brewery tours are held on Saturdays at 10.30am and 2pm and include a brewing history talk and a pint in the visitor centre. For their award-winning beers, Purity is our Brewery of the Year 2018. Although all the pubs included here have a wonderful choice of quickly changing real ales, it’s hard to beat Colin Keatley’s collection of 32 well-kept beers, so the Fat Cat in Norwich is our Beer Pub of the Year 2018. A long-standing favourite with many, the Church Inn at Uppermill is our Own-Brew Pub of the Year 2018. Mr Groves reckons he could put 1,000 different wines up on the bar and will open any of them (with a value of up to £100) for just a glass – Woods in Dulverton is our Wine Pub of the Year 2018. With over 400 whiskies, the friendly and cheerful Bon Accord in Glasgow is our Whisky Pub of the Year 2018. Individual Inns is run by Ewan Harries (a former director at Bass) and Martin Clarkson (who has been running pubs for some years) and consists of six pubs in Cumbria, Lancashire and Yorkshire. A beautiful location is a requisite for each pub, alongside individual décor, imaginative food using local produce, a thoughtful choice of drinks and comfortable bedrooms. It’s important too that the inns are very much part of the local community and host a wide range of events such as reading and creative writing groups, live music, quiz and games evenings, guided walks, drinks tastings and monthly cinema or dining nights. They are particularly welcoming to walkers (with their dogs), families and cyclists – which is just as well since the countryside around each pub is stunning. The pubs that make up Individual Inns are the Masons Arms at Cartmel Fell and Wheatsheaf at Brigsteer (Cumbria), Spread Eagle in Sawley (Lancashire) and Tempest Arms at Elslack, Wheatley Arms at Ilkley and Fountaine in Linton in Craven (all Yorkshire). Individual Inns is our Pub Group of the Year 2018. In the same family for 88 years and quite charming, the Harrow at Steep is Unspoilt Pub of the Year. In a peaceful spot, well placed for walks and with enjoyable food and comfortable bedrooms, the Brace of Pheasants at Plush is Country Pub of the Year 2018. A winner in the past, the Wykeham Arms in Winchester is an exceptional all-rounder and is our Town Pub of the Year 2018. The lovely mid 13th-c abbot’s guest house the Lord Crewe Arms in Blanchland, in the wilds of the North Pennine Moors, is our Inn of the Year 2018. The charming Drake Manor in Buckland Monachorum with its friendly, long-serving landlady is our Value Pub of the Year 2018. The standards here are as high as you can get and the food (using some home-grown produce) is inspired – the Stagg at Titley is our Dining Pub of the Year 2018. The golden-stone Ebrington Arms in Ebrington with its own-brewed ales, imaginative food and lovely bedrooms is our New Pub of the Year 2018. For the warmth of the welcome and for the excellent landlord-cooked food, Rob and Liz Allcock of the Long Arms in South Wraxhall are Licensees of the Year 2018.